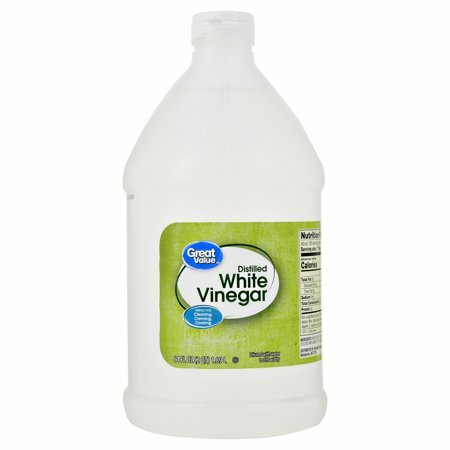 Great Value Distilled White Vinegar is a popular kitchen staple that is perfect for cleaning, canning, cooking and more. Substitute it for balsamic vinegar to make an irresistible salad dressing. Mix a little bit with sparkling water for a refreshing beverage. Use it as a marinade on your favorite meats or as a source for flavor to vegetables and soups. It also makes a great addition to cucumber and tomato salads. Use it as part of a DIY all-purpose cleaner that you can safely use all around the house. Mix with baking soda and use as a daily facial scrub. This vinegar has zero calories, fat, sugar, sodium and is gluten-free. Keep your kitchen stocked with the versatile Great Value Distilled White Vinegar. Ingredients: White Distilled Vinegar (Diluted with Water to 5% Acidity). I use this product for cleaning. I use it with baking soda for clogged sinks. I use it to freshen my laundry. 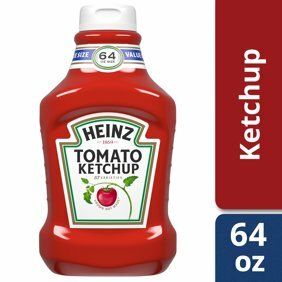 It is an awesome product and it has many uses. Buy it for several reasons. This time to clean my coffee pot. I use this to clean my coffee pot and machine. Works like name brand stuff but it's cheaper..
Use a lot of this to clean my coffee pot .